These figures represent mounted members of a Boer Commando from the 1st Boer War 1880-81. You would also find Boers in the Anglo-Zulu War, the Matabele War and the Jamieson Raid, as well as multiple skirmishes between Boers and their neighbours, African and European. 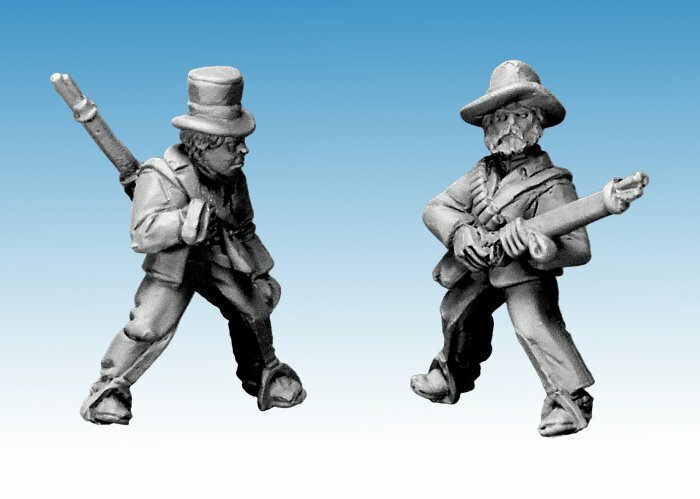 28mm sized metal figures, supplied unpainted. Comes with horses.